What is economics?What can - and can't - it explain about the world? 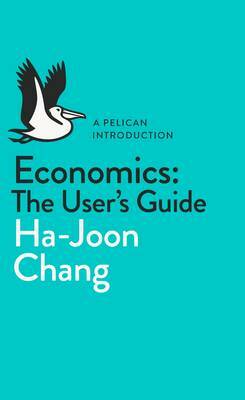 Why does it matter?Ha-Joon Chang teaches economics at Cambridge University, and writes a column for the Guardian. The Observer called his book 23 Things They Don't Tell You About Capitalism, which was a no.1 bestseller, 'a witty and timely debunking of some of the biggest myths surrounding the global economy.' He won the Wassily Leontief Prize for advancing the frontiers of economic thought, and is a vocal critic of the failures of our current economic system.